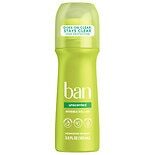 Shop Ban Roll-On Antiperspirant & Deodorant Unscented (1.5 oz. )1.5 oz. $499$4 and 99 cents$2.22 / oz. 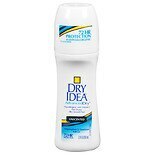 Shop Almay Roll-On Antiperspirant & Deodorant Fragrance Free (1.7 oz. )1.7 oz. $359$3 and 59 cents$2.11 / oz. If you prefer roll on deodorant, but could do without the fragrance, try an unscented roll on deodorant. These unscented deodorants can prevent body odor without irritating sensitive skin. They're also ideal for those who wear perfume, cologne or other fragrance, since they won't clash or mix with your signature scent. 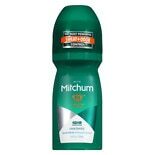 Choose an unscented roll on deodorant from brands such as Ban, Mitchum and Dry Idea. 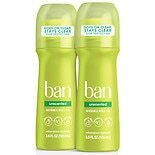 Besides preventing body odor, many unscented roll on deodorants are also antiperspirants. For both women and men, there are unscented roll on antiperspirant deodorants, as well as other forms such as gel, spray and solid unscented deodorant. Find more sensitive skin care products here at Walgreens.com. There are facial soaps and body washes formulated specifically for delicate skin. Try shampoos and conditioners that are for sensitive scalps. Sunscreen, moisturizers and body lotions also come in fragrance-free formulas to protect your skin from irritation.